Litecoin is a peer-to-peer Internet currency that enables instant, near-zero cost payments to anyone in the world. Litecoin is an open source, global payment network that is fully decentralized. Mathematics secures the network and empowers individuals to control their own finances. Compared to Bitcoin, Litecoin features faster transaction confirmation times (2.5 minutes) and improved storage efficiency. [07:00:20] <@coblee> and do let me know if you DID NOT get that alert. I was testing some node.js stuff over holiday and figured I would go ahead and add an SSL to the domain and upgrade everything together. All http request will be denied. API requests require https now too. would anyone be willing to run them for me? we can split the ltc mined (20M/h so anywhere between .2 and 1.2LTC every day) i live in south florida and the coldest it ever gets is 84 degrees outside in the middle of the night and my AC isnt even that good. during day its over 90 and INSIDE my house its over 80. So if someone from Canada or Alaska (anywhere cold) wants to run them and save on heating by using these as a space heater that would be great. Here's the text, so you don't have to go to that other place.. This spam attack is not economically feasible on the Litecoin network. I will explain why. Here's one of txns that is spamming the network: https://blockchain.info/tx/1ec8370b2527045f41131530b8af51ca15a404e06775e41294f2f91fa085e9d5 For creating 34 economically unfeasible to redeem UTXOs, the spammer only had to pay 0.000299 btc ($0.08). In order to clean up all these spammy UTXOs, you needed a nice pool to mine this huge transaction for free. And the only reason why the pool was able to was because the spammer sent these coins to simple brain wallets! If these were random addresses, they would stick around in the UTXO set forever! (or until each BTC is worth a lot) The reason why Litecoin is immune to this attack is because Litecoin was attacked in a similar fashion (though to a much smaller degree) years ago. And I noticed this flaw in Bitcoin and patched it in Litecoin. There's code in Bitcoin that says if someone sends a tiny amount of coins to an output, make sure that he pays the mintxfee. This makes sense because you wouldn't want someone creating "dust" spam by sending small amount of coins. BUT the code still only enforces the same mintxfee if you send to many small outputs. The fix is simple: require a mintxfee for each tiny output. Because of this fix, Litecoin's UTXO set is much more manageable than Bitcoin's. But the pull request for this that I created against the bitcoin codebase was rejected 3 years ago: https://github.com/bitcoin/bitcoin/pull/1536 One of the reasons why I created Litecoin was because it was hard for someone like me (who was a nobody back then) to make any changes to Bitcoin. Having a different set of developers take the code in a different direction can only be good for the resiliency of the whole cryptocurrency movement. And that is why there is value in altcoins. 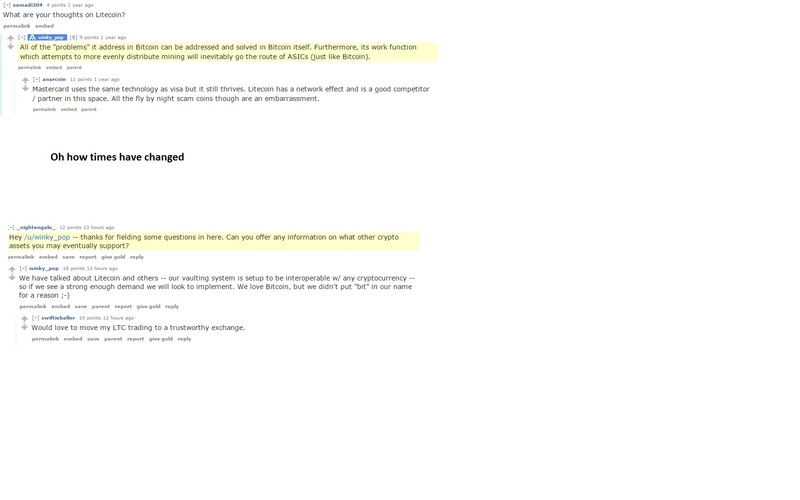 From 00:00 (UTC) 2nd January 2016 to 23:59 (UTC) 3rd January 2016 the Litecoin Developers and Litecoin Association will be attending an AMA on /r/Litecoin *reddit. Who else do you want to AMA? Here you will be able to ask any of us about the development of Litecoin Core or any Litecoin-related topics. Looking for updates on Core Devs, go ahead, get your questions ready. Developers may initially post information of what they hope to achieve in 2016, and update everyone with information. So please keep a lookout for these, just to stop repetition of questions. How is this going to be done? At precisely 00:00 UTC 2nd January, I will post a thread on /r/Litecoin titled "[AMA] Official Litecoin Developers and Litecoin Association AMA 2016!". Get your questions ready, and only post there. From then on, we will have until the end of Sunday to answer as many questions as we can. 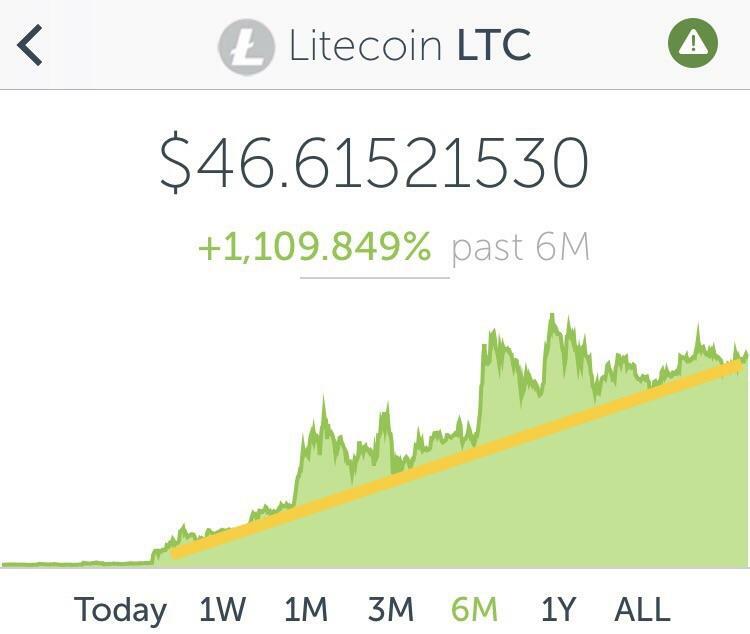 This sub is now in the hands of me Bossman :D , I've been around the Litecoin since 2013. Expect more posts and a new sub design coming ! !